HTC CEO Peter Chou sat down with The Seattle Times to talk about their devices and the future of the industry as a whole. As the interview began, it became clear that Chou takes his work very seriously; he had HTC's DROID Incredible, EVO 4G, Aria, and the new T-Mobile G2 in his pockets. He explained: "I'm testing all of our devices to make sure that our devices are having a good experience and are mature and stable." That's exactly the kind of commitment we're looking for from all our CEOs, though he might benefit from a waist-pack. The interviewer asked Chou about the G2's brushed metal design, and potential Antennagate-like consequences. Chou reassures us (and jabs Apple), saying "We can't complain that the antennae is so complicated that 'user, you have to compromise a little bit.' You can't say that. It is our responsibility, our profession, and our expertise to take care of whatever the user scenario." Chou, like many of us, is excited at the prospects of Windows Phone 7: "They put tremendous focus, effort on this design. I'm very excited about this brand-new experience." The interviewer asked if there might be customizations on WP7 devices like HTC Sense. Chou replied that they will leave the experience alone in the beginning, and slowly roll out their own improvements. As to the future of smartphones, Chou had this to say: "I believe the mobile Internet experience will continue to optimize and innovate...we are in a threshold point where all kinds of industries can use smartphones - for education, or health care or energy - so this can be a very important product for people in the future." The g2 should have sense on it like the desire z. 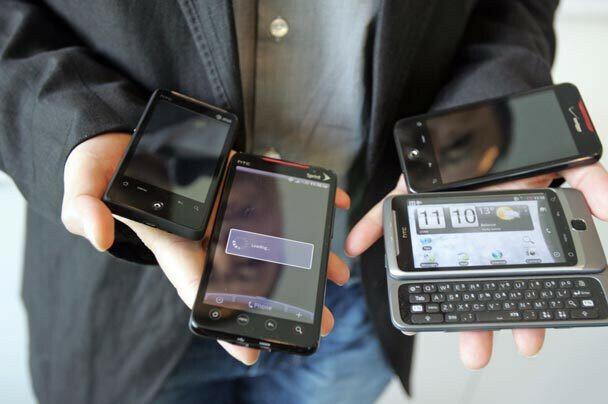 It would be the first and only sense device from t-mobile (minus the "sense-like" experience on the mytouch slide). I'm sure their will be roms to flash on to the g2 but a stock sense experience with no flaws would be better. I'm not really feeling stock android. Not that its bad but because im so used to having some sort of overlay on top. The G2 should not have SENSE. The G2 is the successor of the G1, the first ever android phone running stock Android OS. There are other devices that provide the sense experience, but many, many people prefer the stock android OS. I prefer HTC sense myself, but I think sticking with basic android gets the experience closer to the N1. I'm glad the G2 is coming with stock Froyo. I for one hate the Sense UI and could defnitely live without it.